Even though heat waves are still in full swing, it’s never too early to start thinking about a patio heater for the cooler nights ahead. Patio heaters now come in sleeker, less conspicuous designs–making them perfect for backyards and patios. 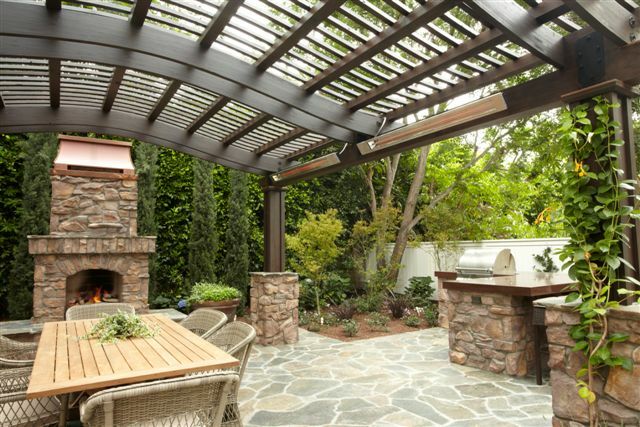 When selecting a patio heater, customers should be aware of: 1) where the heater will be placed, 2) how much space they want to heat and, 3) what style will complement the space. Here are two that are definitely worth considering. The New Slimline Single-element Heaters from Infratech incorporate a specially designed electric quartz heating element that produces safe infrared energy. With crisp, modern styling, brushed-stainless trim with an optional dark contrasting housing, and narrow profiles, Slimline heaters virtually disappear into the surrounding décor. The Tungsten Smart-Heat gas range, manufactured by Bromic Heating, offers unmatched features in the commercial outdoor-heating market. 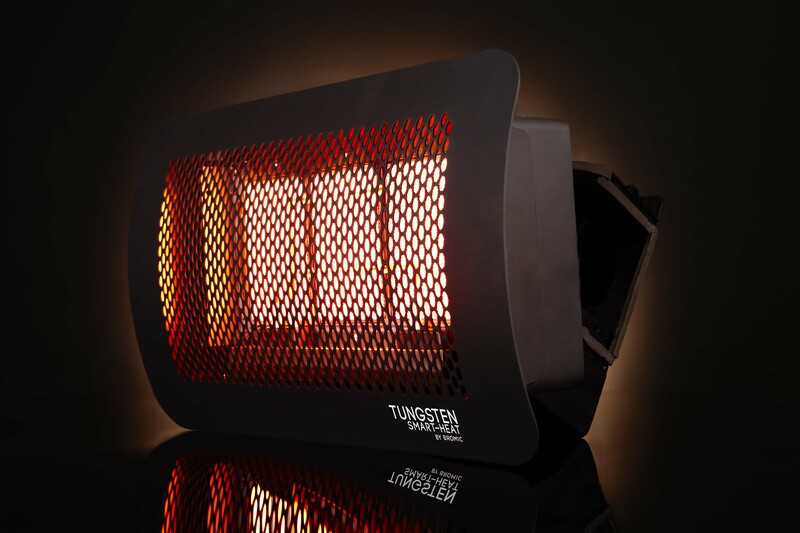 The Tungsten Smart-Heat gas range offers wind and water resistance, electronic ignition, easy-pivot directional heat, and options for wall and ceiling mounting.